Altitude Communications' FastTrack eMarketing System offers state-of-the-art, cutting edge email marketing, SMS and Database Management solutions for individuals and businesses. 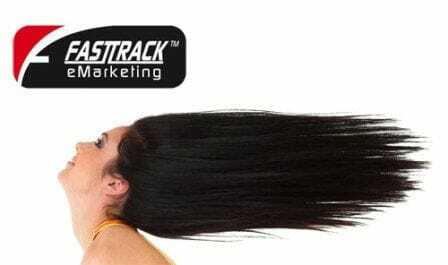 The FastTrack eMarketing system is a powerful, yet uniquely simple online solution that gives you the ability to easily manage all of your email broadcasts, event promotions and database contact management requirements via the one user-friendly interface. Build, develop and grow your business with our Email Marketing Tools. 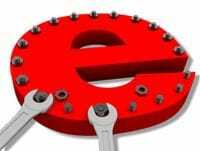 What Tools Are Available in our Database Marketing System? Altitude Communications also offers clients our eMarketing Campaign Management Services. Create, schedule, and send professional, personalised, and interactive letters to your existing and potential clients, with the all-in-one email professional communication system. Whether it be a newsletter, or an announcement of a sale (over 50+ strategies to choose from), this tool is full of features to make the process faster, organised and very effective. It's also designed to assist you to attract new clients, increase your sales, and improve communications with your prospects, business partners and customers. Manage your contacts in one location. Being able to enter, edit, and profile each of your contacts is essential for effective, personalised communication. This tool has been set up so you can select sub groups for each communication that goes out - making your communication more targeted, and more effective in its results. Additionally, we have many features that help you build and maintain your growing list. Track results from your email marketing campaigns. Communication is the vital business key to any marketing, ensuring that what has been sent out has been read and created results. This clever system enables you to collect valuable data to assist in the evaluation of the marketing time and money spent, and shows you how to improve. It takes the guess work away! Gather vital information from your staff, clients and the greater market - to make your business more smarter, effective and results orientated. This is done simply by entering in all your questions, then selecting the type of question, and response type you want for each question. The FastTrack database marketing system makes this a breeze and takes out the hard work by allowing you to create, deloy and view the results. Best of all, this solution gathers all the results and produces reports for you to easily evaluate all your surveys. Quick, easy, fast and effective! Additionally, if you have a website, you can display polls on your website, where responders can view the results of the poll once they have submitted their response to the question. They can be used within any email marketing, where only a snippet of information is placed in the email, with a 'read more' link that takes the reader to the website to read the rest of the article. You can also display the articels automatically on your website (If you have one of our Altitude Communications 3G Websites). This will save you having to create a webpage on your website by automaticaly displaying it for you. Be professionals when it comes to hosting your own events. Through the system, you can manage everything from the payments of events to the marketing. Ask for specific information from each person that signs up, such as "are you a vegetarian?" * This feature is only available if you have a one of our Altitude 3G websites. Once a person has signed up for an event, you can view registration lists, including who has/ hasn't paid and even print off name tags. Click here to find out more about our Email Marketing Campaign Management Services (EMCMS).